Accidentally landed on an image of the Lugang Glass Temple which looks absolutely stunning on Google Images. 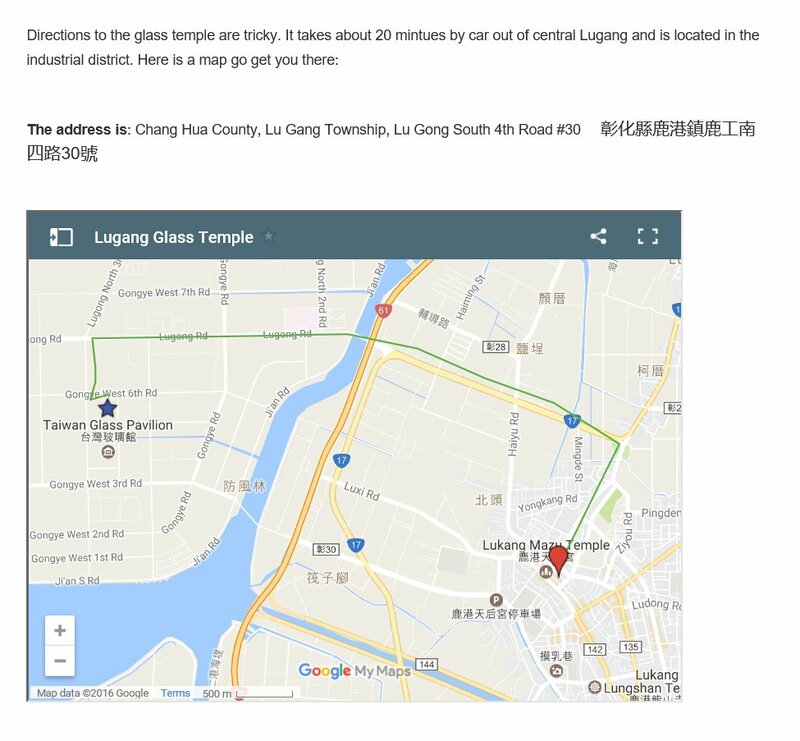 Unfortunately, searching for the same term on Google Maps says: We could not find lugang glass temple. Found one blogger that says its 20 minutes away from Lugang and another one with a similarly vague statement. Where is the Lugang Glass Temple exactly? Does it still exist? Is it a structure that can be visited? It also mentions that this is a glass copy of a famous temple, that it's on the grounds of a glass factory, and how to visit. Seems like it has all you need. Per this site, it's at Chang Hua County, Lu Gang Township, Lu Gong South 4th Road #30, here. Not the answer you're looking for? Browse other questions tagged taiwan temples or ask your own question.